Colton spent his first 72 hours wearing a Cool Cap. My son Colton spent the first 72 hours of his life wearing a cool cap in the Akron Children’s Hospital NICU (neonatal intensive care unit). 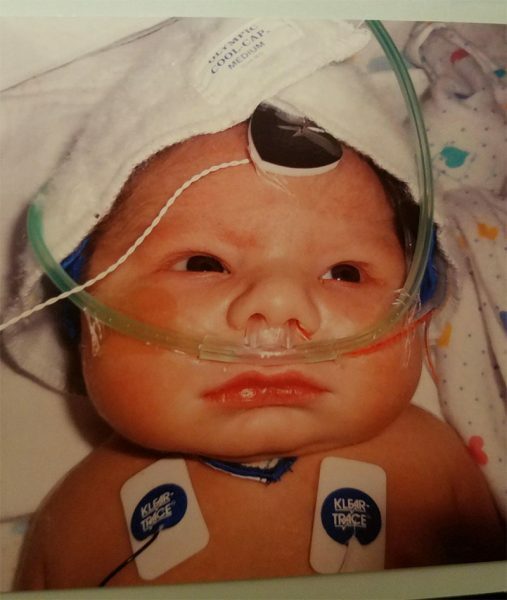 He was born with cerebral palsy as a result of an umbilical cord accident. He was in the NICU for a total of 36 days, and we have been coming to the hospital 1-2 times each week for therapy since he was 3 months old. Colton is now 2 years old. 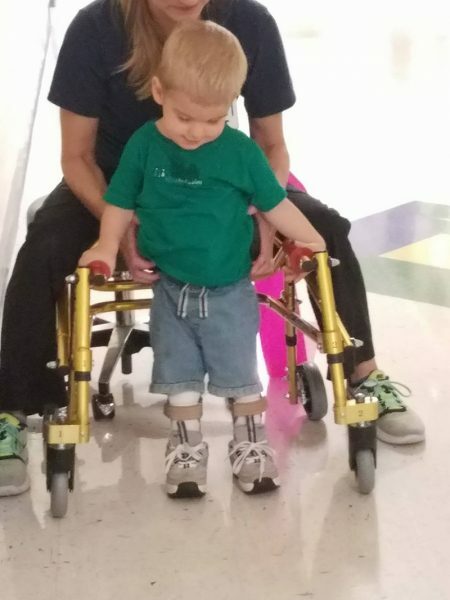 Colton continues to make progress with help from his walker and physical therapist Nicole Sass. My son wouldn’t be alive if it wasn’t for your amazing team, but I also want to recognize Doggie Brigade sponsored by Milk-Bone® volunteer Don Weisel. 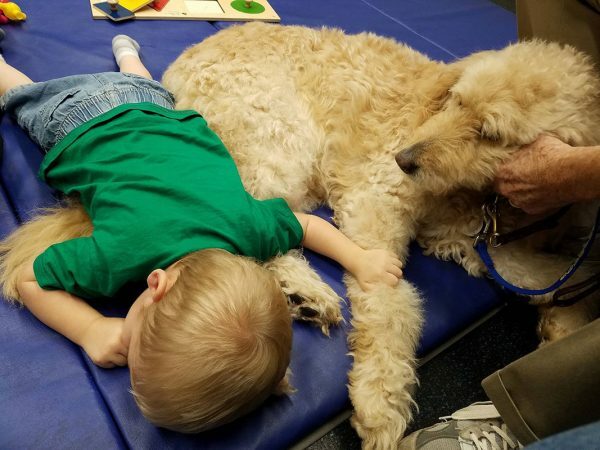 He comes every week to my son’s therapy. This time last year he was just starting to sit independently and now can walk with a walker assisted. Colton is so motivated in his walker to chase after Daisy or Rosie during his therapy sessions. We drive an hour every week to do therapy and Don helps pass the time for Colton with his dogs. Daisy is a source of relaxation, as well as motivation. 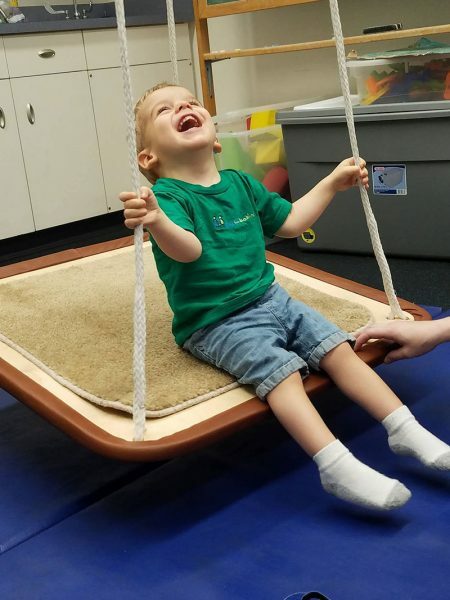 Colton is determined not to let cerebral palsy define his life. He brings us so much joy. He can do anything and nothing is impossible. Thank you all again for saving my son and continue to allow him to become more. God bless. Although therapy has its ups and downs, it also has its backs and forths.